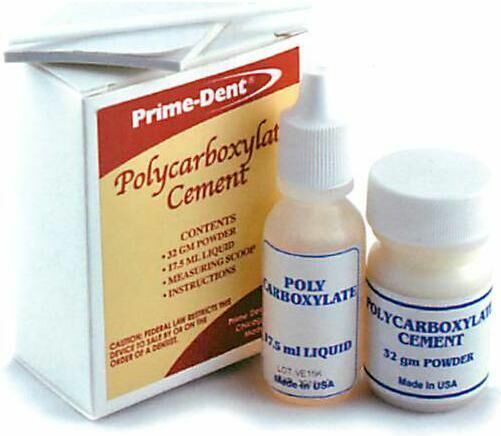 Used primarily for final cementation of crowns and bridges. This luting cement has good biocompatibility, a low film thickness of 13-18 microns and good insulating characteristic. The material of choice for sensitive teeth and for preparations close to the pulp. Kit, 32g powder bottle, 17.5ml liquid bottle, measuring scoop, spatula, mixing pad and IFU.